Minister Perry said the decision had "wrong-footed" the department. Energy and clean growth minister Claire Perry has attempted to downplay the impact of the ‘standstill’ imposed on the UK’s Capacity Market, courting accusations of dishonesty from the company behind the legal challenge that resulted in the suspension of the scheme. Perry released a statement earlier this week claiming the judgement from the European Court of Justice against the European Commission was “decided on procedural grounds”, and therefore not a challenge to the nature of the UK Capacity Market mechanism itself. “We believe the Capacity Market is an effective mechanism that is designed in such a way as to minimise costs to consumers. The design of the Capacity Market has not been called into question, and our focus is therefore on ensuring it can be reinstated as soon as possible,” she said. However Sara Bell, chief executive and founder of Tempus Energy which made the legal challenge to the Capacity Market in 2014, called the minister’s words “disingenuous” and said her statement could be accused of misleading parliament. “The case that Tempus Energy brought was a procedural challenge, because we were challenging the European Commission's decision not to launch a thorough investigation into the substance of the Capacity Market,” she said in a statement posted on the Tempus website. “The reason the Court upheld the challenge was precisely because of the serious concerns raised by the design of the scheme. Therefore, the nature of the Capacity Market was very much at the heart of the decision. She also cautioned the government not to exert political pressure on the Commission to “rush this process”, citing paragraph 63 of the ECJ judgement which states that the formal investigation may not be delayed due to “third-party interests”. Perry also revealed her department was seeking immediate state aid approval for a T-1 auction to provide capacity next winter, with the upcoming auctions in January and February indefinitely postponed under the Commission’s investigation is resolved. Telling the business, energy and industrial strategy select committee yesterday that the ECJ’s ruling had not “wrong-footed” the department but had left it “disappointed” in the outcome. Perry remained confident that there would be enough capacity in place for this winter, despite payments to existing contract holders being suspended. 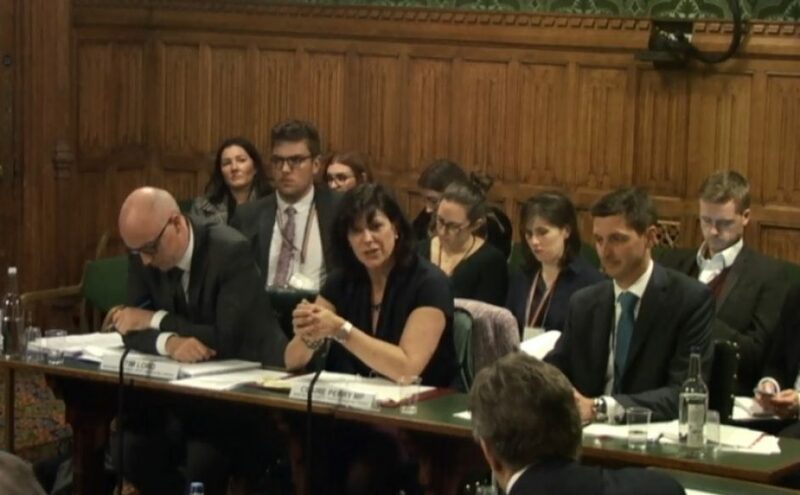 Claire Perry appeared before the BEIS select committee yesterday. This is said to have caused "confusion and uncertainty", particularly with no clarity over if contract holders are still required to continue providing available capacity, or if they could face penalty or termination fees if they do not. She continued these theme at a conference this week, where she acknowledged “a significant amount of shock in the industry”. However, Bell went on to explain that the ruling would have a long-term positive impact on the low carbon transition by promoting intermittent renewables and demand flexibility as a provider of cost effective capacity. “It’s over; every time a fossil fuel company starts to reduce its profitability and thinks it can terrify government into handing over subsidy on the basis that the lights are going to go out,” she said on stage. Cookies are currently disabled. Please accept cookies to view this content.